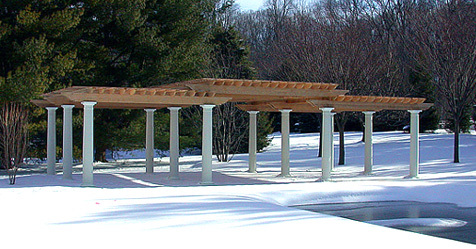 This classically elegant pergola establishes a large, well-shaded area adjacent to a pool. 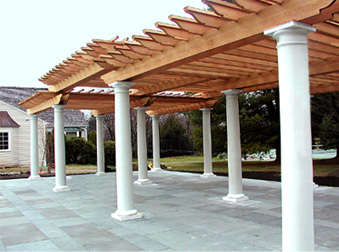 The pergola employs 12" columns and "T joists" with two levels of perlins. 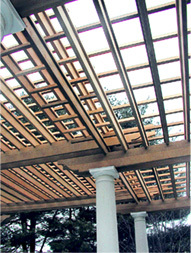 Using two levels creates visual interest while softening the overall mass of the structure.